Most people like a holiday – even a running holiday to a wine region or marathon of a lifetime. But imagine running around the whole world and taking five years to do it! Serge Roetheli has quite understandably now hung up his running shoes – turning to new adventure and endurance challenges. The determination and beautiful images shown by the new running film based on Serge’s adventure embody the impulse that we all have when we put our trainers on – to get out in the great outdoors and exercise our freedom. Race-Calendar.com caught up with Serge to ask about the run. Read the full interview by clicking here. The magnificent grounds of Bowood House in Wiltshire provided a perfect venue for the Event Logic UK’s latest ‘Bowood Triathlon series’, on Sunday 30th June. 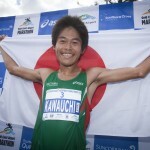 The Land of the Rising Sun dawned brightly again at the 2013 Gold Coast Airport Marathon. Japanese runners won both the men’s and women’s marathons in course record times, while taking the top two spots in the men’s race. Get a free water bottle and 5% off with any SportsBra order over £35. 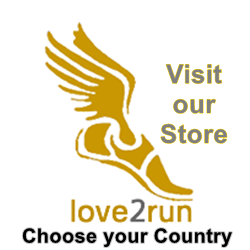 Just go to the I Love Running page at Facebook to claim the coupon code. Offer ends August 22 2013. Races in New Zealand courtesy of Race-Calendar.com. Add a race. Embed Map.